The Reality · Members' Area · The Genius Bar · News Desk · OTMs + A Contest! Of the Month Winners for August! Hahaha whoa I'm behind! We do not currently have any prizes for OTMs, sorry loves. Congratulations to Arla for winning MOTM for August 2017! Arla was simply stunning this past August; she's certainly kept us on our toes with both of her leaders, Greer and Lachesis. The grey ghost has had plenty to deal with after Kisla's recent death, including wayward puppies, rumors, and unhappy subordinates. Despite all this, he's managed to keep Hearthwood River alive -- and it's one of our most active packs. On the opposite side of the mountain, Greer has been kicking up some dust and really working on his social skills, and is still just as fun to read as he's ever been. We can't wait to see how Arla and her boys handle all the upcoming fall fun! A relative newcomer, Namir, has taken the northern half of RoW by storm and taken WOTM for August 2017! The wily thief goes by Little Crow and is the daughter of the deceased Desideria and is on a quest for vengeance -- find her mother, and find these wolves who her mother chose over her. 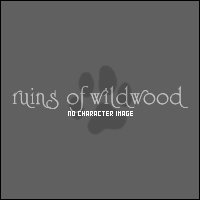 She hasn't found the wolves she's looking for, yet, but instead has paired up with Saros for one successful raid on Wild Rye Fields, and a failed attempt on Hearthwood River. The daring duo are making their way further south -- have they learned their lesson, or will Little Crow soon strike again? Of the Month Winners for September! Congratulations to Becca for winning MOTM for September 2017! Becca has been blowing us away with her sheer awesomeness this past month, keeping a whopping 11 wolves active! Holy cow! On top of this, Kerberos has been doing his best to keep Charred Ash Draw afloat after Naira's mysterious disappearance, and Piety has become the heavenly queen of The Rock Whitestone Monadnock whilst keeping an eye on the lowlands in whole. Hawthorne has been an adorable bundle of joy, and Saros has found himself few friends, and far more enemies. Becca's threads are always a total trip to read, immersive experiences, and she writes such great characterization. Congratulations again, Becca! Brand new to RoW, Muses made a great first impression and has become WOTM for September 2017! The young wolf quickly found her way to Fallen Tree Cove, and has become quite active within the ranks. Clearly, her hard work has not gone unnoticed! A truly unique character, she'll now get to test her strength and will as she steps up to become alpha of FTC shortly after joining with Moonshadow's disappearance. Good luck! The first of our fall contests has been released today! Please check out the contest -- we hope you enjoy! If anyone has ideas or donations for prizes, we'll happy take suggestion. Keep your eyes peeled for other ideas from the plot call coming to a board near you soon, and thanks so much to Rachel for the wonderful idea!